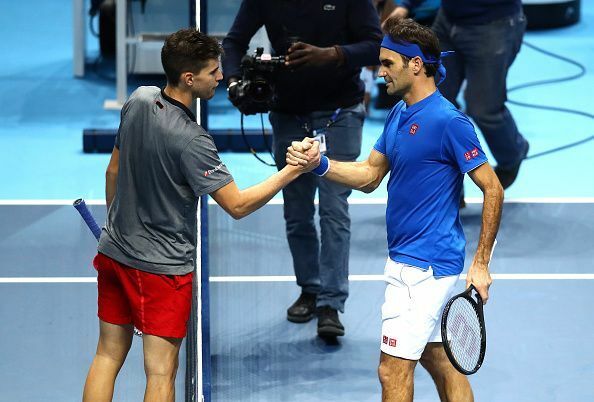 Minutes before their Indian Wells final on Sunday, tennis stars Roger Federer and Dominic Thiem were involved in an awkward moment on their way to the stadium. In a video that surfaced on social media, the two players can be seen driven from locker room to the main court in a golf cart, and how! While Thiem took the front seat, Federer sat at the back… and they didn’t even mind looking at each other or having a word or two all the while. Vai começar! Final do Masters 1000 de Indian Wells entre Roger Federer e Dominic Thiem no SporTV3. Thiem went on to pull off an upset as he rallied from one set down to beat Federer 3-6 6-3 7-5 to clinch his maiden Masters 1000 title. “It’s unreal,” the 25-year-old was quoted as saying by ATP. “It’s a pleasure to compete against Roger in this great final. I lost my last two Masters 1000 finals, but I won this one and it feels as nice as a Grand Slam. “It was a great week and I think also a very good final today. Just amazing that I got here, my first really big title. Meanwhile, both Thiem and Federer will hardly have any downtime as the Miami Masters is scheduled to get under way soon.